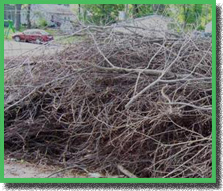 Cut up brush, limbs and yard trimmings. Household trash with all small items contained. Refrigerators, stoves, washers and dryers. 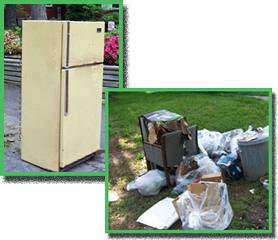 All refrigerators and other appliances that contain FREON will be charged a $15 recycling fee for each FREON containing item. Please remove doors to all freezers and refrigerators and lay on its side for safety reasons. 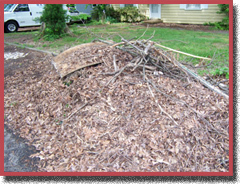 Loose leaves and other small items that are not contained for easy pickup without spillage can not be picked up. Our employee is holding a tape measure that is 4 feet long. 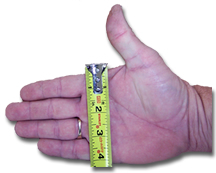 4 feet is shorter than your outstretched arms. Our trucks must be able to load and contain the limbs. Our employees must be able to handle them easily. 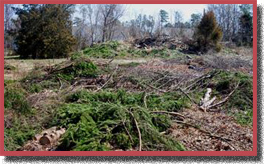 Land clearing debris such as stumps, logs and brush that a machine has pushed into piles. 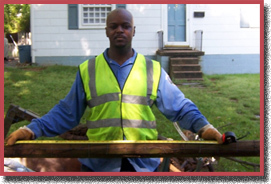 Limbs that are more than 4 inches thick are not acceptedthey can easily weigh too much for our employees to handle. 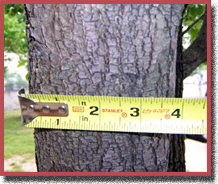 A good rule of thumb on branches – 4 inches is about as wide as your hand. 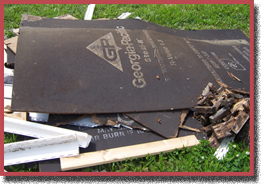 Materials left from building projects, construction or tearing down of sheds and other structures in addition to debris resulting from evictions.These things are hard to handle and contain hazards such as nails and sharp items that can injure our employees. 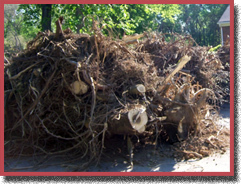 Logs and whole cut up trees that are larger than 4 inches thick and longer than 4 feet in length.These items are very heavy and they can damage our equipment. 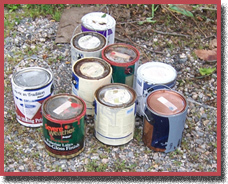 We can not accept liquids such as paint, drywall mud, thinners, gasoline, pool chemicals, gas tanks, propane tanks and other such materials.They can leak; they can be hazardous and can harm our employees and our equipment. Your materials must be at the side of the road. 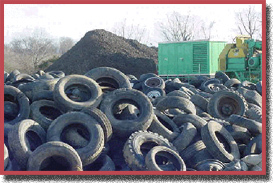 Our employees are not allowed to go onto your property to retrieve the bulky waste.